Refrigerate after opening. Best taken within 3 months of opening. 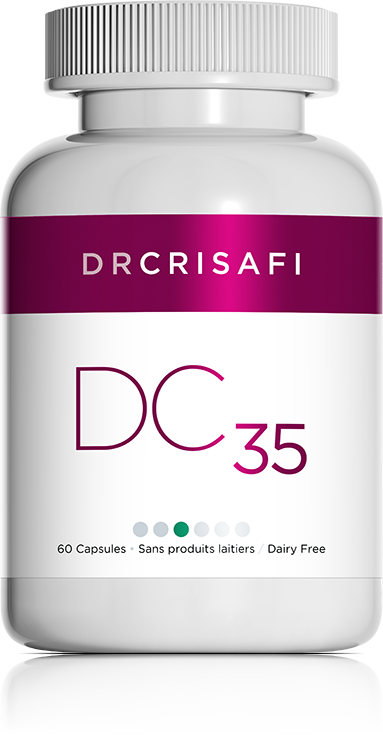 DC 35 is a dairy-free supplement made up of concentrated intestinal bacteria, or probiotics, and containing the two most important probiotic strains: acidophilus and bifidobacteria. We now know that the microbiome, or intestinal flora, plays a key role in maintaining optimal health. Each highly concentrated capsule contains 20 billion bacteria. This formula promotes regrowth of the intestinal flora, or the microbiome. Intestinal problems (e.g., irritable bowel syndrome, Crohn's disease, ulcers). To promote regrowth of good bacteria following the use of antibiotics.